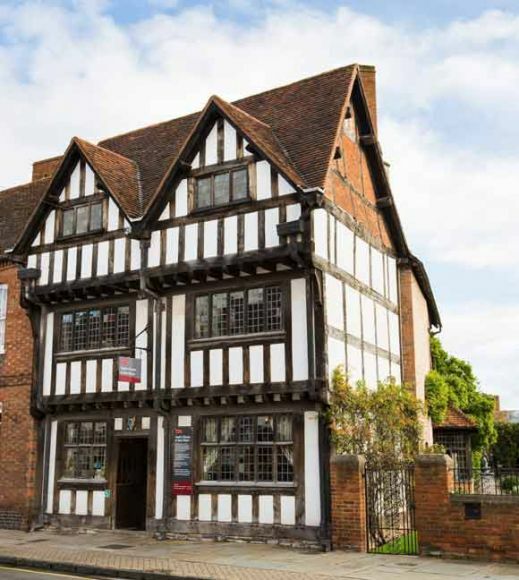 How the other half live - Explore the wealthy, luxurious home of Shakespeare’s daughter and her husband, Dr John Hall; Flemish painting and fine furniture. 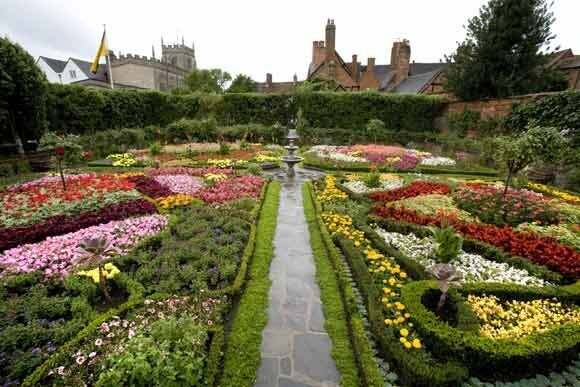 A doctor’s paradise - Rest in the beautiful walled garden, a fragrant oasis of medicinal herbs. 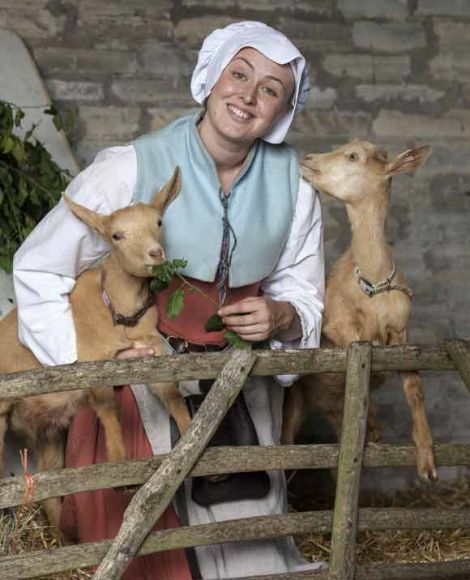 Meet the animals, talk to the Tudors, explore the woods and try Tudor food in the café at Shakespeare’s mother’s farm. 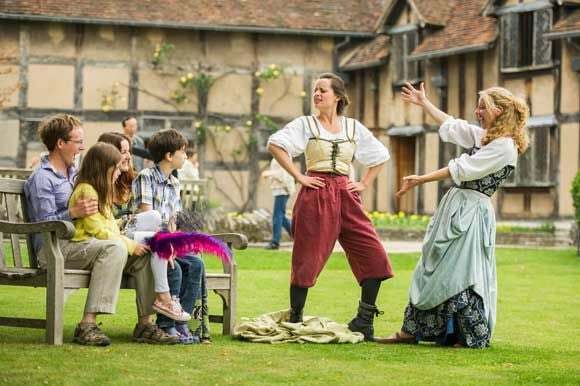 Meet the Tudors who run the farm just as Shakespeare’s mother would have done. You can see them prepare and eat their Tudor dinner every day. Enjoy the farmyard, playground and historic buildings. Play hide and seek in the willow tunnels, meet rare-breed animals. Falconry, geese-herding, Tudor Dinner, craft demonstrations, horse grooming, milking demonstrations…there’s so much to do! Visit Stratford-Upon-Avon’s newest and most exciting attraction. 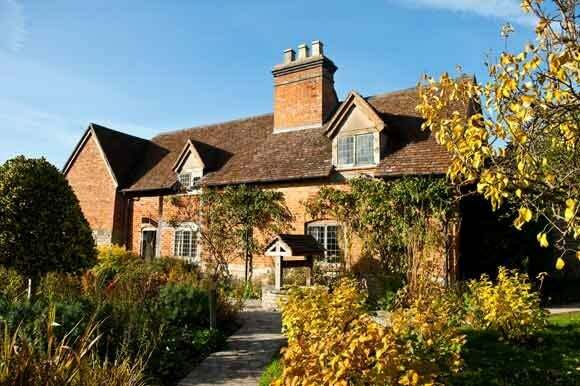 Enter through the Gatehouse where Shakespeare’s front door used to be, explore the site of his family home. Wander through beautiful gardens, including the restored Knot Garden with breath-taking new sculptures that bring his works to life. Discover a picture of his family life and the part he played in his home town in the brand new exhibition. Closing times listed above are last entry. Houses close 30 minutes after the last entry. 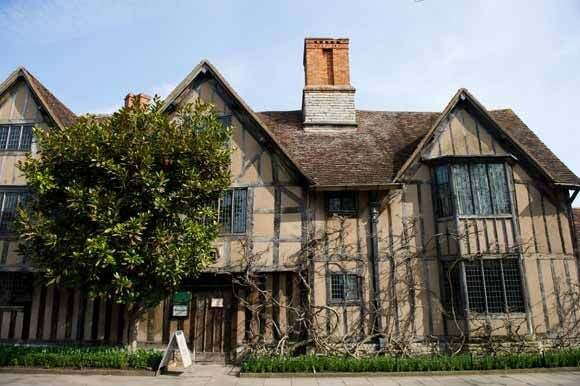 Vouchers can be redeemed at front of house at each of the Shakespeare Family Homes.